One of the best things about sewing is being able to create something nerdy, useful, and unique - and who embodies that as much as Luna Lovegood? I kept seeing a Luna circle skirt (because I follow wonderfully creative people on social media), but (A) I knew I could make a circle skirt, and (B) I already have a LOT of skirts. I also discovered that the actual skirt worn in the movie was purchased at H&M, so I figured I'd steer away from trying to make a perfect replica. Enter the Chataigne shorts by Deer and Doe. I felt these had just enough whimsy, but were still a garment I could wear around. 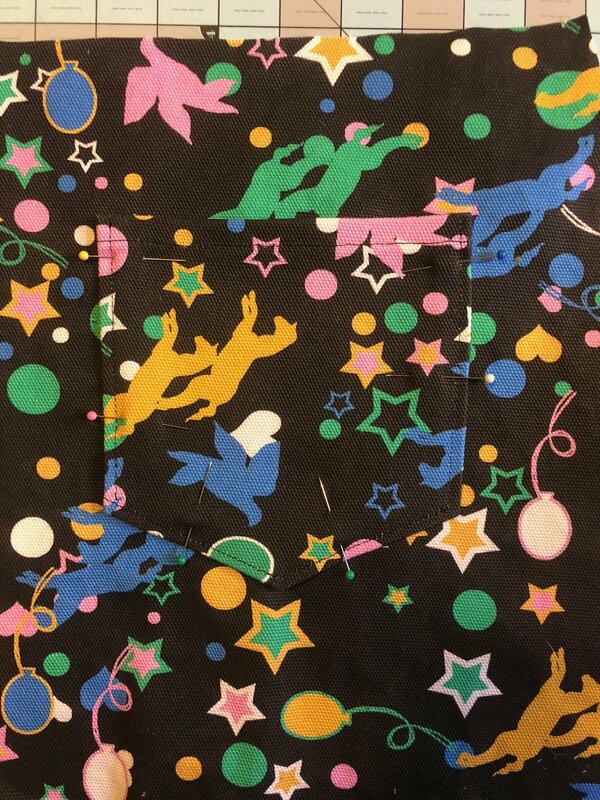 Finding this fabric was the hardest part, but Spoonflower ended up having a great option. I went with the Cypress Cotton Canvas, which I think will soften up nicely after a few washes. 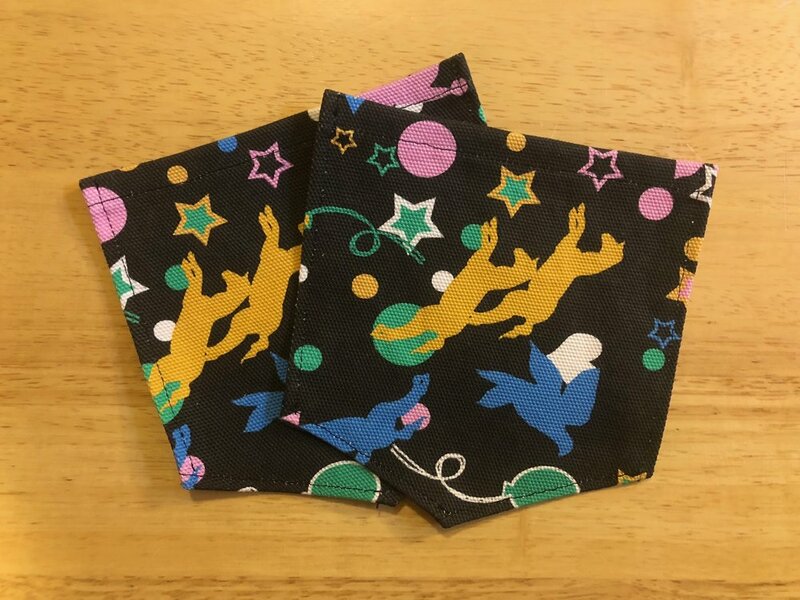 I ordered a sample pack from Spoonflower (only $3 - SO worth it!) so I could feel each option. The sample is not as stiff as the printed fabric I ordered, but I’d imagine that’s because the printing is fresh. Even after the pre-wash I did, I noticed a difference, and I’m excited to see how these shorts break in as I wear them. I found this canvas very easy to sew with, too. The pleats hold very nicely with the texture. I also chose the fabric because it felt like it would be more resistant to wrinkling than some of my other options. The Chataigne shorts come with two versions, and I went with the high-waisted, scalloped-hem version. Be warned, though - the high-waist is NO JOKE. Maybe I just have a small torso, but these go up to my ribcage! I found the instructions easy to follow, and I think this pattern is very approachable. The hardest part was being patient during that scalloped hem (which I have done before, but enjoyed the fact that this pattern had the scallops already traced out for me). I started out by tracing the pattern pieces onto Pellon 830 tracing fabric - I love this method! Since I’m not cutting up the original pattern, I can make different sizes or alterations later. Once I’ve cut out the fabric pieces, I still like to keep the traced pattern pieces with them. Often I find that some pieces are verrrry similar to one another (especially in these waistband pieces! ), and keeping them with the tracing piece helps keep me more organized. 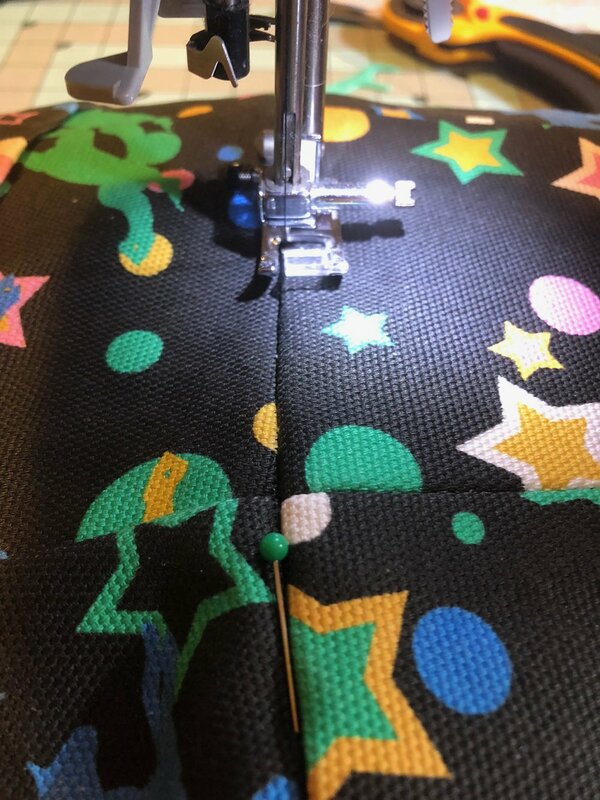 Another thing I recently discovered is that, while not as perfect as a serger, overlock stitches work great to finish edges and make the garment look a little more professional from the inside. The Chataigne shorts have decorative pocket flaps, but I decided to go with actual back pockets! 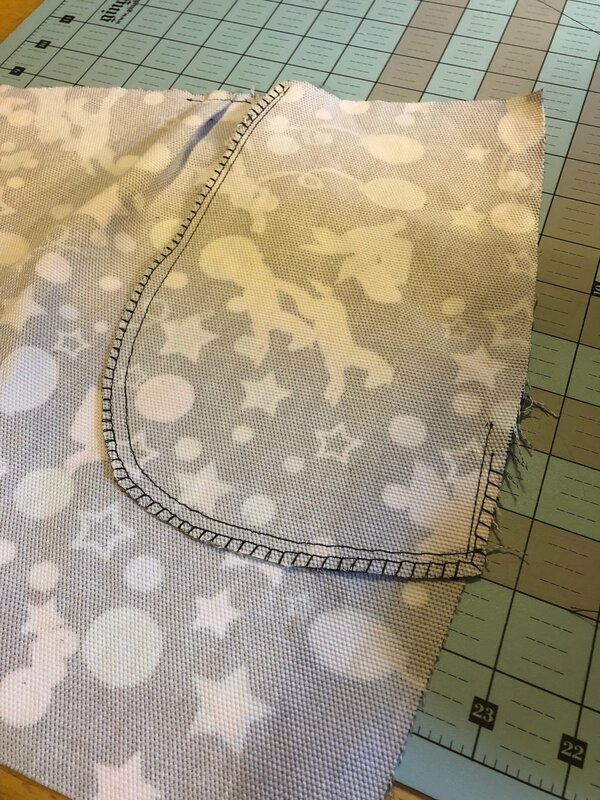 I made some Safran pants (another Deer and Doe pattern) a little over a year ago, so I just grabbed the pocket piece from that pattern and lined up the top of the pocket with where the flap was supposed to go. I could have also put the flaps on, but I decided that, especially with the thickness and stiffness of the canvas I was using, I didn’t want the extra bulk there. I also didn’t worry about matching the fabric, since it’s so busy anyway. When attaching the waistband lining, I got to practice a technique I hadn’t don’t much before - stitching in the ditch! It’s exactly as it sounds: you hide a seam by putting the stitch in a “ditch" already created by another seam. Because my fabric was black, my thread was black, and the fabric is so bulky, this was a good (forgiving) project to practice with. I also decided not to worry about how hidden the invisible zip was for this piece. I was still having horrible flashbacks to the Tania Culotte zipper disasters from last month, so I decided that since the fabric was black and the zipper was black, and I wanted to be able to zip myself in and out of the shorts easily, I’d just insert it without worrying too much. If anyone is looking closely enough to criticize my zipper insertion, they need to sort out their priorities. (Also, another great thing about making things for yourself rather than others, is that if something is imperfect, you get to decide how much you care). In hindsight, I probably didn’t need to interface the waistband at all, either, since the canvas has so much structure to it. But live and learn, I guess!